The influx of foreign equipment during the 70’s and 80’s have put great numbers of metric motors in plants. 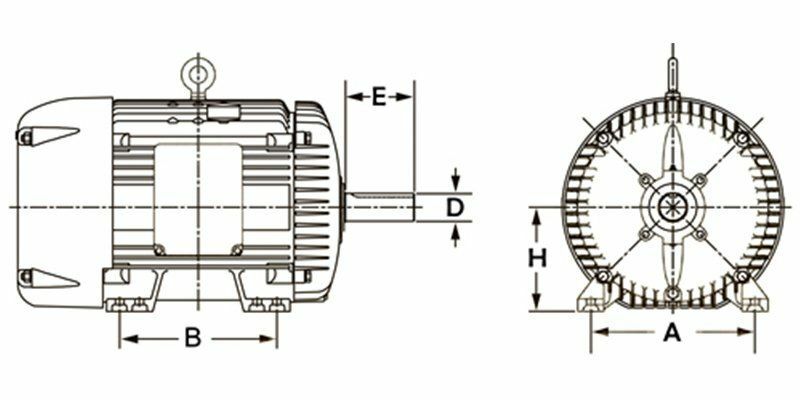 As a result of this and the age of these motors, we are seeing inquiries for replacement motors that will match the IEC (International Electrical Commission) standards. European frame sizes are handled in a different way from U.S. frame sizes. They are based on the shaft height (equivalent to our “D” dimension) in millimeters. For example, a 112 frame would have a 112 millimeters shaft height.